Shannon Clark is a fitness model, part time writer, and certified personal trainer from Alberta, Canada. She is a contributor for Bodybuilding.com, AskMen.com, and SupplementCritique.com. I got started into bodybuilding after quitting competitive figure skating and wanting something else to ‘fill the void’ so to speak. I had started working out while training for skating so it was a natural transition to become more involved. Generally, because I find working out so enjoyable and love the feeling I get after a session is done, that’s pretty much all the motivation I need. I’ve never regretted doing a workout. Beyond that, staying healthy and the physique benefits that come from working out also inspire me to keep pushing the barrier. I love how one can transform themselves with the right diet and workout plan. Lift heavy and eat a balanced diet. I firmly believe that you can sum up a great routine with these two things. All the main compound lifts – squats, deadlifts, rows, shoulder press, and bench press are a must for any workout program. Progressive overload needs to be there and after that, add what you find enjoyable and what will keep you coming back to the gym for more. I believe in a balanced, clean approach 90% of the time. I’ve learned to prepare healthy foods in a way that taste great and I don’t ever tire of, so it’s natural for me to reach for the right things when hungry. I do believe though that there’s a time and place for any food you love. I think that keeping protein slightly higher is a smart move for hard training athletes and keeping carbs as high as possible is a must. 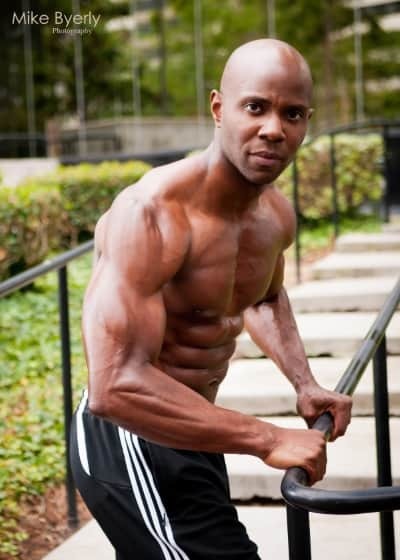 While you can’t shun fats, you do need to eat good carbs regularly to have the energy to workout with intensity. I’m not a fan of very low carb diets unless for very short periods of time. An upper/lower split workout routine emphasizing compound lifts. No lift has changed my physique like heavy squats have. It’s remarkable what this exercise can do for you. Squats – for all the reasons I noted above and because there is no feeling like hitting a squat PR you’ve been struggling to reach for weeks. Shoulder Press – I feel like shoulders are key to a great looking physique. They help give that V taper and will create the illusion of a slimmer waist. Deadlifts – everyone should focus on back health as this will really pay off in 10, 20, or 30 years. Those who deadlift will be far more functional, in my opinion, than those who don’t. Sometimes HIIT can be good but you need to eat to support that. If dieting pretty intensely, I think moderate amounts of normal cardio is best. Generally I prefer to rely more on diet to do the work than cardio though. That said, I do believe that one should always keep 2-3, 20 minute sessions of cardio in their workout for heart health. I generally eat a fairly balanced diet of around 35% protein, 40% carbs, and 25% fats. My food choices include things like chicken breast, eggs and egg whites, steak, and Greek yogurt. For carbs, I love sweet potatoes, oatmeal, fruits and LOTS of vegetables. I can pack away vegetables like no one’s business. 🙂 For fat sources, I love peanut butter, nuts, and try and consume salmon every so often for healthy omega-3’s. “The only thing worse than failing is the feeling of regret for not trying." Hitting 150 lbs on my back squat. I’ve only just started seriously squatting about a year ago so this was a pretty big moment for me. 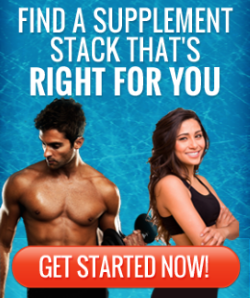 Rob Miller founded SupplementCritique.com over 7 years ago, and has been the chief editor ever since. 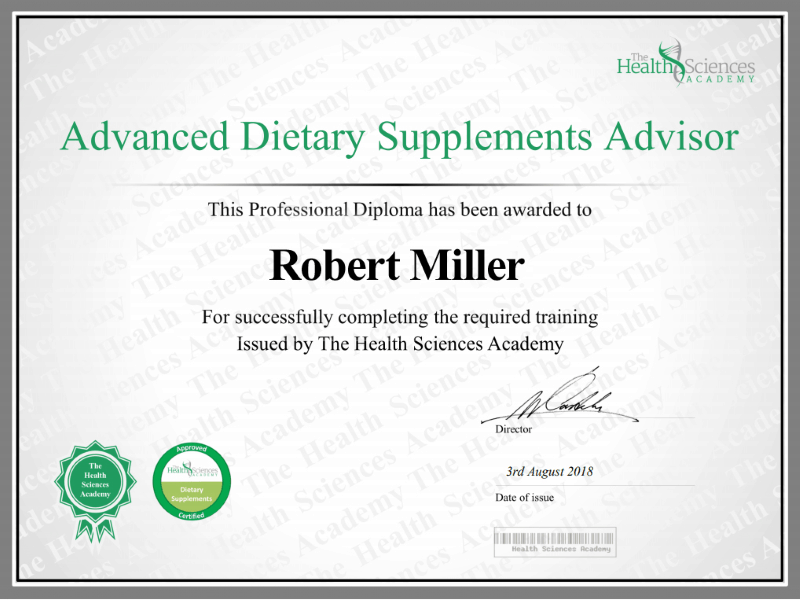 He has a diploma in Advanced Dietary Supplements Advisor, and worked at GNC for 3 years. He KNOWS supplements, both inside and out. Rob currently resides in Jupiter, FL, with his wife of 4 years. Learn more about him in his Bio here. Follow him on Twitter , Facebook, LinkedIn, or find him on Google +.